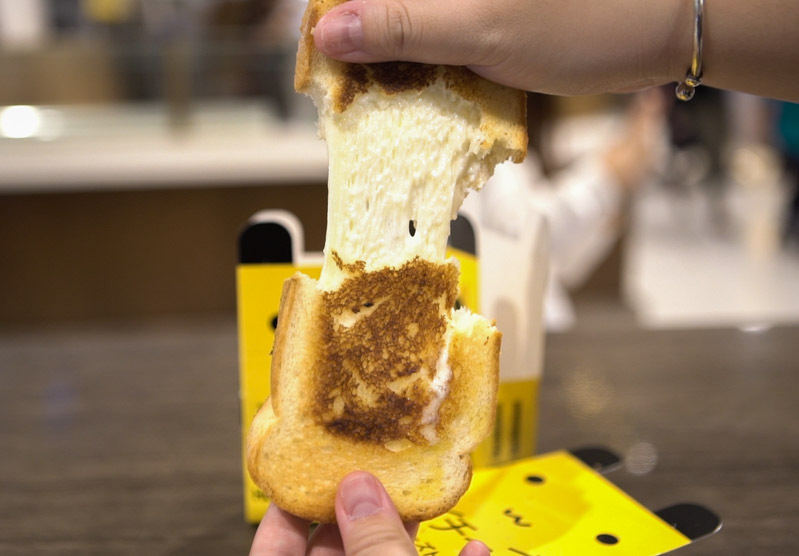 Bangkok’s Hokkaido-style stretchy cheese toast Say Chiizu has finally made its waves to the sunny shores of Singapore! 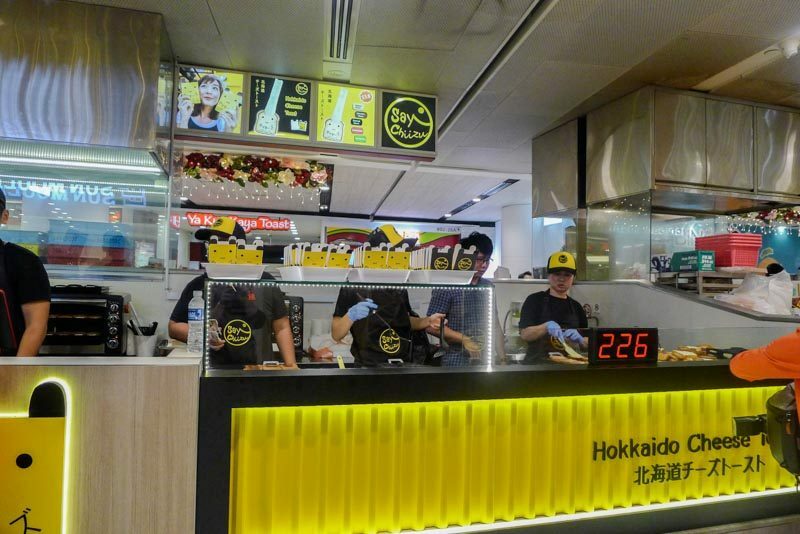 Say Chiizu opened its first ever kiosk at VivoCity, and we popped by to check it out! It was difficult to capture a shot of the Say Chiizu’s storefront without the crowd because everyone was just as excited as we were to get a taste of this highly-anticipated franchise. Despite the long queue at peak hour, the staff were friendly and incredibly organised as they doled out piece after piece of toast. 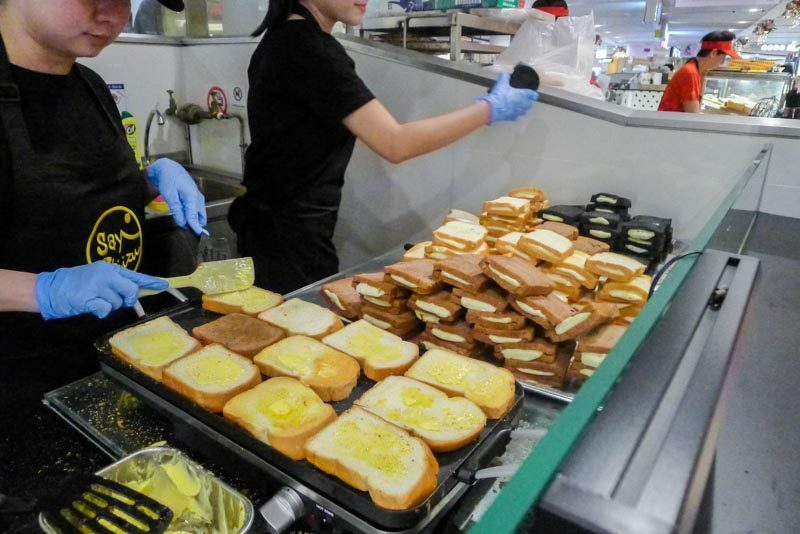 The toasts are prepped and filled with the tasty cheese filling ahead of time, and are grilled a la minute upon order. Customers are asked to wait for about three minutes for their orders to be ready, which really isn’t too long of a wait, if you ask me. The difference in the Say Chiizu’s flavours actually come from the bread. The Charcoal toast ($3.80) was the sweetest out of all three flavours. The bread was a little more crumbly, perhaps due to the charcoal. Paired with the brand’s premium cheese made from Japanese milk, it was a creamy and a cheesy delight from start to finish. The Chocolate toast ($3.80) reminded me of milo and cheese, which came together wonderfully in this sandwich. Upon receiving our toasts, we were told to wait for about 30 seconds before breaking them apart to get the optimum cheesy stretch from the toast. Any earlier and it would end up in a dribbly, sticky mess. Lastly, we had the Original toast ($3.80), which was my favourite out of the three at Say Chiizu. It had a subtle savoury and sweet flavour, along with the aroma of rich milk. We were pretty glad to find out that in addition to this kiosk, Say Chiizu will be opening another three more outlets around the island and has plans of branching out into a dine-in cafe. Additional menu items that will soon to be launched include its signature cheese fries as well as drinks. After trying all 3 of the flavours currently available, the original flavour still remains my favourite out of them all. 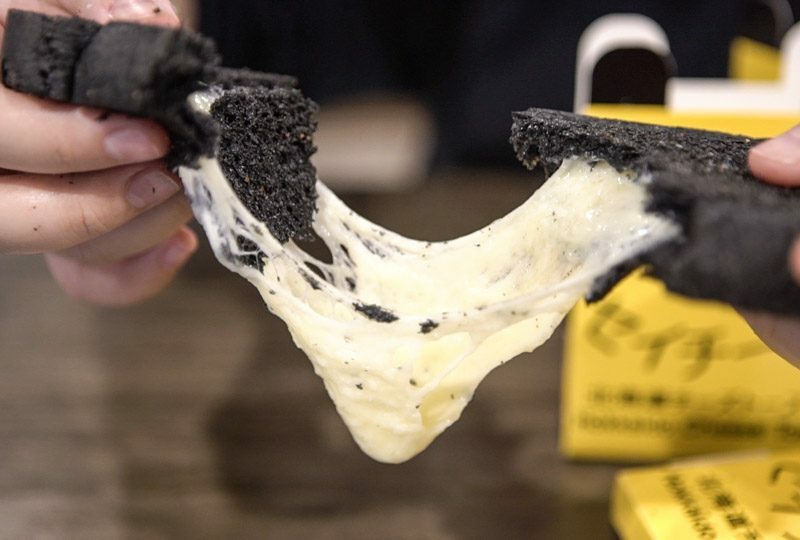 Taste-wise, it did not impress me as much as the hype made it out to be, and could get quite jelak after having one piece of this cheesy toast all to yourself. Say Chiizu also has various outlets at 313 Somerset, White Sands and Clementi Mall.